Description: View of the chapel. The chapel was originally a dining hall for the monks living in the monastery, but it has now been converted into a chapel used by the Episcopal Church. 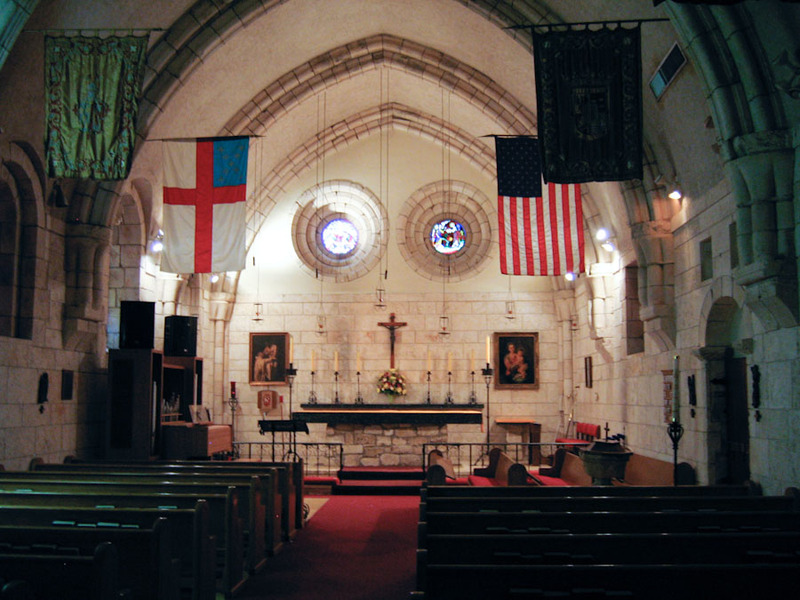 The Episcopal Church as a whole began after the American Revolution after it split with the Church of England. It now considers itself as somewhere between Catholicism and Protestant religions. TIFF File: A high resolution TIFF of Chapel (28.9 Mb) is available for download. This is a very large file suitable for printing. For most on-screen purposes, you should use the image displayed on this page instead of this TIFF. College of Education, University of South Florida © 2009.